When it's not cold enough for a coat, but you need a little extra warmth, wrap yourself in Woolrich’s Roundtrip Sweater Coat. 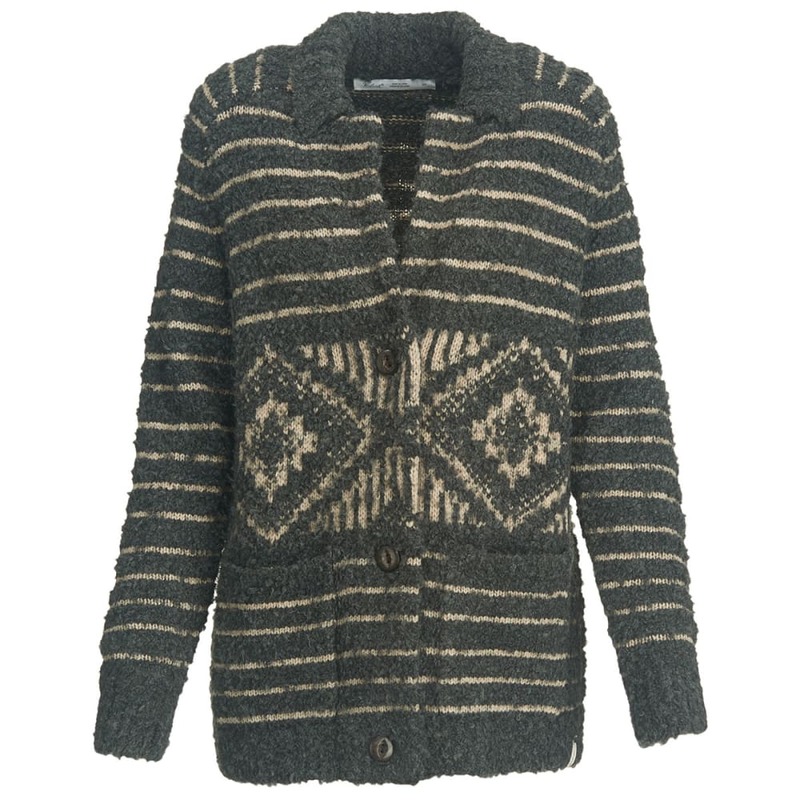 Soft, heathered boucle yarn; striped body and sleeves with a jacquard pattern panel at mid-chest. Button front with a ribbed collar, lapels and cuffs. Front patch pockets. Comfortable raglan sleeves. Acrylic/lambs wool/ wool/polyester blend.